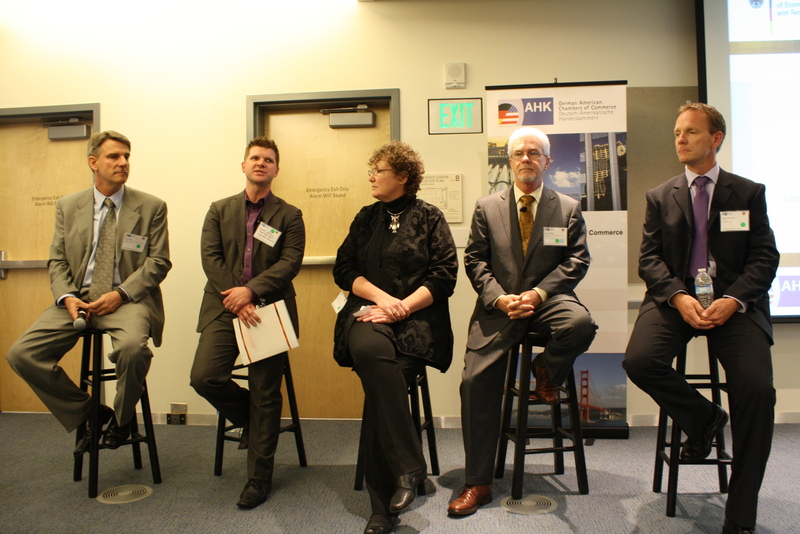 The program included a panel discussion on “Chances and Opportunities for Green Building and Energy Efficiency in the U.S.: How Germany and California Will Lead by Example” with Dan Geiger, Executive Director of USGBC-NCC and Kirsten Ritchie, Director of Sustainable Design at Gensler Architects, amongst others. In addition, several expert speakers from Germany and the U.S., including Dr.-Ing. Olaf Böttcher, Federal Institute for Research on Building, Urban Affairs and Spatial Development, Head of Division, and Alan Meier, Senior Scientist in the Energy Analysis Department at the Lawrence Berkeley National Laboratory, provided further insight into technological advances on both sides of the Atlantic. Click here to review the day’s presentations. This entry was posted in Buildings, Energy Efficiency and tagged Energy Efficiency, German Green Tech, LBNL, USGBC. Bookmark the permalink.